The Portland chapter of the Leukemia & Lymphoma Society (LLS), the second-largest cancer nonprofit organization in the country, is holding its annual Man and Woman of the Year campaign — a title a Gresham man is seeking one burpee at a time. "LLS has done some incredible things to help advance blood cancer treatments over the years," said Jarrod Lyman. "A lot is happening in the Portland area; I'm hoping to show them just how big eastside residents' hearts are too." Candidates who accept a nomination by a peer for the award have 10 weeks to raise as much money as possible for the society to be considered. Whomever raises the most claims the title. This is Lyman's first time taking on the challenge. "We will all win when we finally create a world free from cancer," Lyman said. "I've seen firsthand children fighting these horrible diseases ... No one should have to go through this, and I'm hoping to do my small part." Lyman has several fundraising events planned. The first happened last weekend, Burpees Against Blood Cancer. 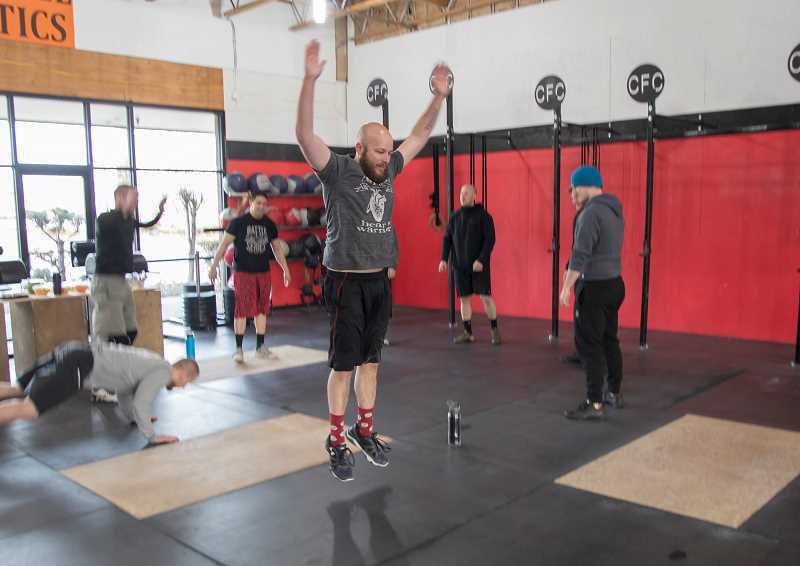 On Saturday, March 16, Lyman attempted to do as many burpees, an aerobic exercise, at CrossFit Cimmeria in Gresham. At the same time, other gyms attempted to get people to tally as many burpees as they could for the fundraiser. Participants in the challenge paid $5 to join in, with 100 percent of the proceeds going to LLS. "It was a lot of work, and burpees are terrible, but today they did some good," Lyman said. To learn about upcoming events, or to donate, go to www.MtHoodCure.com. Lyman is hoping to find retail partners to make donations on behalf of the campaign. Next on the schedule is a partnership with the Wooden Shoe Tulip Festival. They will have a photo site set up where they will make a donation anytime someone posts a photo using #BulbsAgainstBloodCancer. The Leukemia & Lymphoma Society was founded in 1949 and has raised $1.3 billion to research new treatments, provide help for patients, support groups and other services.